Eugene Gloria earned a B.A. from San Francisco State University, M.A. from Miami University of Ohio, and MFA from the University of Oregon. 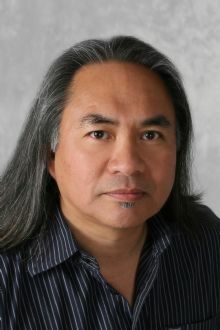 He is the author of three books of poems: My Favorite Warlord (Penguin, 2012), Hoodlum Birds (Penguin, 2006), and Drivers at the Short-Time Motel (Penguin, 2000). His fourth collection of poems, Sightseer in This Killing City, will be published by Penguin Random House in June, 2019. Gloria's recent and forthcoming poetry and prose also appear in The American Poetry Review, The New Republic, Shenandoah, Ploughshares, Kenyon Review, Memorious, Cimarron Review, Indiana Review, Seneca Review, TriQuarterly, Harvard Review, Boulevard, and The Best American Poetry 2014. At DePauw, I lead creative writing workshop at all levels and also teach First-Year Seminar and literature courses on contemporary American poetry and Asian American poets and writers. As a teaching poet, I ask my students to find ways to surprise not only our readers, but also themselves in their writing. I remind them that in the art of writing poetry our allegiance is to the imagination. In our close reading of the literature assignments in creative writing workshop, I encourage students to devise ways to inhabit the English language, to make it their own, and engage the world through language.